Pro Roofing Services of Sarasota, Inc.
Red Dog's Roofing of Florida, Inc.
Gulf Coast Roofing and Sheet Metal, Inc.
American Commercial Construction and Development, Inc. Comment: Small leak in bathroom. fixed a couple times before. Planning on a new roof in the fall and would like to stop leak before damage. Comment: Age of asphalt roof is unknown-bought as bankrupt property. I'm having an addition put on the building so the permit to also replace the roof is already secured. The addition contractor will do the roofing on the addition. I had the roof repaired once and it may have another place that leaks, but only during very long and hard rains, so I'd rather have the entire roof replaced. I've had two estimates and I'm getting one tomorrow through a BJ's contractor (with the membership discount). The permit fees are already paid, so I'm looking for a roofer who will supply a one page Sarasota subcontract form to my addition contractor and sharpen up their pen for the estimate. Comment: Hello, this home is a vacant foreclosed home that we have a hazard claim bid for to get the entire roof replaced. There has already been a report completed for this property and we have this report available to the bidder. Client is very specific about what they want completed and ask that we include anything not mentioned on the report that needs done. They are requesting the bid include replacing roof with 3 tab 25yr composite shingles. Bid must be all inclusive including tear off, new shingles, any sheathing, drip edge, felt, starter strip, dumpsters, labor, materials, vents, flashing, permits, taxes, etc. We would need each item that needs completed broke down by line item just how they have it on the report. We would also need a lead time for completion if our client was to approve the work. Thank you for your time, we look forward to working with you. Comment: 4200 square feet roof elven years old starting to leak . torched bitumen. Comment: 12x15 lanai semi flat roof needs new plywood and roofing. All Tin Sheet Metal & Roofing, Inc.
Harvath Home Services of Florida, Inc.
Franciscus Roofing of Florida, Inc.
Sarasota Roofing Contractors are rated 4.62 out of 5 based on 1,039 reviews of 29 pros. 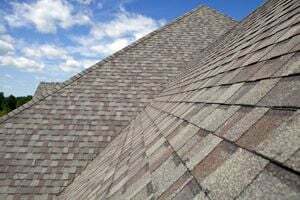 Not Looking for Roofing Contractors in Sarasota, FL?